Organic Meadow Hay is 100% certified organic grass hay. 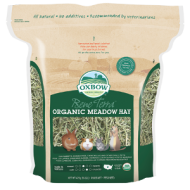 Grown all-naturally without the use of any chemicals, Organic Meadow Hay guarantees that you are feeding high-fiber hay that is beneficial for your pet and the environment! Organic Meadow Hay is composed of a variety of naturally occurring grass hays providing an enticing combination of textures, fragrances and flavors. 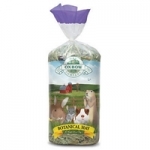 This organic combination provides a sweet and nutritious hay that is high in fiber and low in protein to keep a small animal digestive tract functioning properly. Sizes: 15 oz. 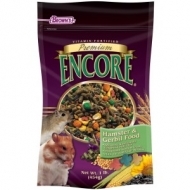 Brown's Encore Gourmet Foraging Feast for Hamster is a premium gourmet food and treat all-in-one, fortified with vitamins and minerals. 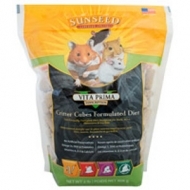 This enticing diet is jam-packed with a medley of specialized delicacies your hamster will find simply irresistible. 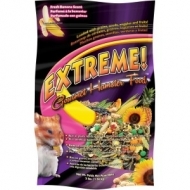 Extreme! 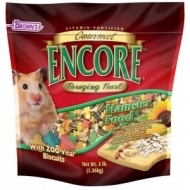 Gourmet Hamster Food™ is a food and treat, all-in-one, fortified with vitamins and minerals. This enticing daily diet is loaded with a medley of delicacies such as grains, seeds, veggies & fruits your companion pet will find simply irresistible. The colorful shapes and textures add variety to help make mealtime fun and a source of activity to help reduce cage boredom. 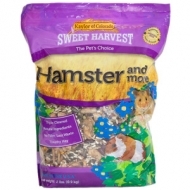 • Rich in fruits & hamsters love to eat! 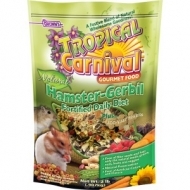 Brown's® Tropical Carnival® Natural Pet Hamster-Gerbil Fortified Daily Diet is a food and treat, all-in-one. We've taken natural to a new level by incorporating unique gourmet ingredients, bright natural colors and intense flavors in every Tropical Carnival Natural blend.